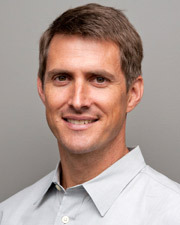 Pandora on Monday announced the hiring of Simon Fleming-Wood as the company’s first ever chief marketing officer. Mr. Fleming-Wood enters the fray at a time when the company’s growth has been steady, even in the face of increasing competition from iHeartRadio, Spotify and others. Pandora hit 100 million users in July, with listening hours also on the rise. And The Pandora app is one of the most downloaded of all time for both iOS and Android devices, making it the undisputed leader amongst free music providers. The difficulty, all too familiar for mobile marketers, has been monetizing that growth. The company’s own SEC filing states that advertising revenue is still not offsetting royalty expenses. It expects losses through “at least” 2012, while analysts don’t expect annual profits until 2014. Nonetheless, Pandora isn’t biding its time while waiting for profits. If recent months’ developments are any indication — a revamped website, Pandora gift cards, and new partnerships with automobile and phone manufacturers — Mr. Fleming-Wood will have his work cut out for him. Pandora also has international expansion on its radar. This summer’s IPO was fairly successful, though company stock has fluctuated in the months since, suggesting market confidence is somewhat shaky. Last month’s announcement that users would no longer have to pay $0.99 to exceed 40 listening hours a month signifies an all-in bet on an advertising-based model (presenting a stark contrast to Spotify’s $10 monthly membership fee). Pandora was already earning well over 80% of its revenue from advertising at the time. Mr. Fleming-Wood had been vice president of marketing for Pure Digital Technologies since 2002 and maintained the same title for Cisco Consumer Products group after its acquisition of PDT in 2009. He is credited with playing a key role in the development of the Flip Video camera and brand. “Simon’s entrepreneurial spirit, history of driving business growth and experience in creating beloved brands and products are all attributes we’re delighted to have him apply in his new role at Pandora, as we grow the business,” said president and CEO Joe Kennedy, in a statement.